The San Diego City Council’s Environment Committee on Thursday advanced to the full council code amendments intended to improve Public Utilities Department operations following public unrest over inaccurate water billing from late 2017 into this year. Recent audits found that meter-reading employee errors, lack of oversight and insufficient quality control led to billing complaints, in addition to scheduled rate increases, higher water use after drought restrictions were lifted as well as a longer billing cycle between September and December. Overall, 2,750 bills from 2017, or one-fifth of a percent, had to be adjusted after being received by a customer. Of the nearly 350 misread meters, 70 percent were located within City Councilman Chris Cate’s District 6. As such, his office formulated several proposals to alleviate future billing errors. 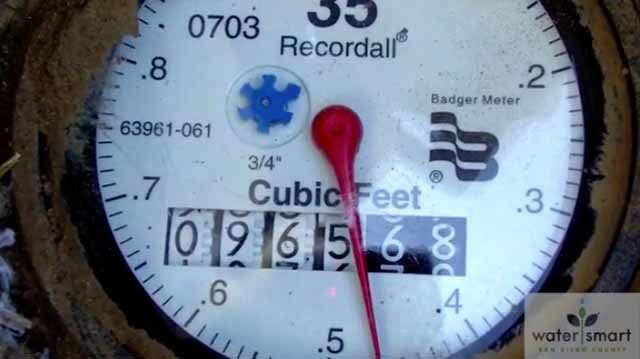 The Public Utilities Department often estimates bimonthly water bills instead of conducting actual meter reads when boxes are damaged, obstructed or inaccessible. Customers were largely unaware of that practice “until the water reader mishap,” despite a notice on bills indicating whether a meter has been read, said Ian Clampett from Cate’s office. “However, our office believes this is not sufficient notification given that many customers utilize auto bill pay and are most likely not reviewing their bills on a bimonthly basis,” he said. One of the amendments under consideration Thursday would require a written customer notice upon bill estimation prior to issuance of the next bill. Physical meter-reading would also be mandated “to the extent feasible.” The department is in agreement with the code change, Clampett said. Sending notice of bill estimates via email for customers who pay online may also be considered before the council considers the amendments, Clampett said. Cate’s office also proposes including the department within the legally mandated five-year financial outlook report, a yearly review and analysis currently limited to general fund departments. The Public Utilities Department is in agreement with implementing the change. Another amendment not under consideration Thursday proposes spending $500,000 within its current budget on a consultant to revamp customer service management and implement best practices. Utility customers reported long hold times, not being called back or receiving blame upon calling customer service personnel regarding exorbitant bills. Officials plan to bring a consultant contract forward before next year.